The Schoolhouse History & Art Center (SHAC) was originally built in 1924 as a schoolhouse for the new community of coal miners and area ranchers. Through the years the school was used as a teacherage, apartment house, and finally was left abandoned and empty where it became more of a concern for vandalism and decline. 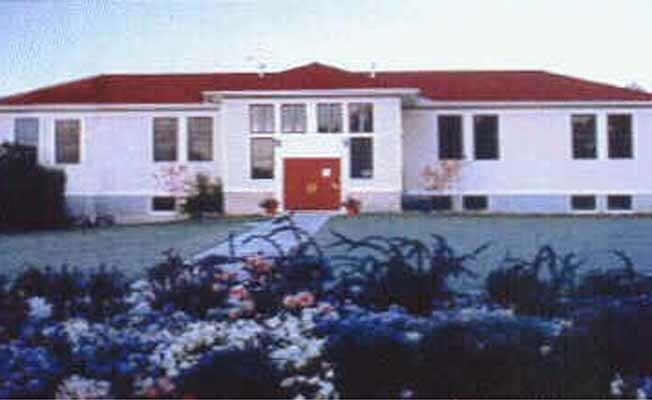 Then in the 1980's a group of concerned citizens bought the school for a dollar from the local School Board. Later they formed a charitable, nonprofit corporation, and launched a campaign to see that the building would stay a vital part of the community to serve as a museum and center for the arts. During the past 10 years the facility has brought in over $300,000 in fundraising and grants to renovate the building's main floor, roof, siding, and outdoor landscaping. SHAC uses two galleries: one gallery for the Colstrip area historical photographs which tell the story of strip-mining in southeastern Montana from the 1920's until the present time and another for rotating art exhibits. The basement has a new classroom used regularly for our arts education program. Please see our website for SHAC's art education schedule. The past years have shown that SHAC is definitely a facility that fulfills a need in the community, not only as a space for the arts, but an impressive array of events. These events include: the annual Quilt Show, Montana SE Juried Traveling Art Exhibit, Golf Tournament, Student Art Show, Arts and Crafts Fair and annual Bra's for the Cause Auction. SHAC has space for rentals by local people and businesses for their meetings, weddings, lectures, and seminars, to name just a few. The Schoolhouse History & Art Center strives daily to fulfill its goal of blending cultural tourism in our visitor center, education, arts, and history for all ages and interests for our community that is has pledged itself to serve. For further information please call or visit our website.